Get ready for pretty veggie colors! Because I have got like all of them going on in this recipe. 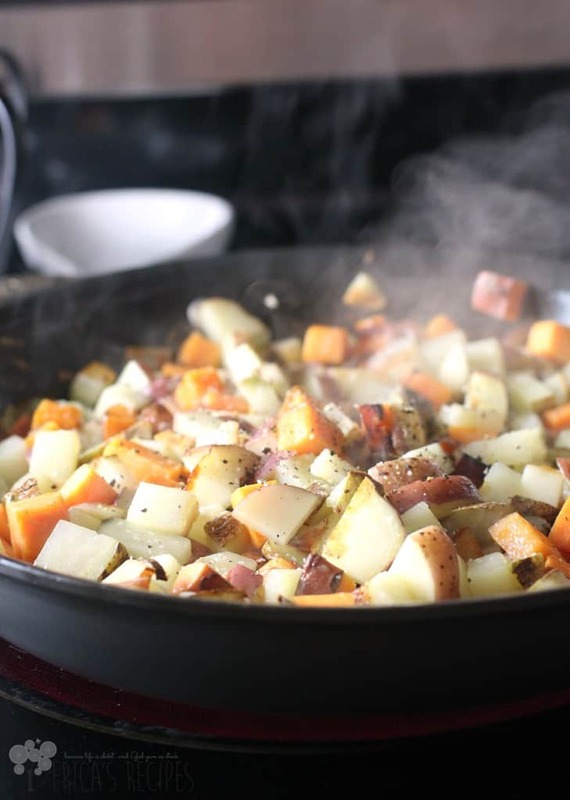 Pair all that with tender, leftover Easter ham and a sunny egg, and you have a fabulous and healthy Healthy Three Potato Hash to start your day. Who’s making ham for Easter raise your hand! I am. I always do, and my recipe is here. And then there are of course the leftovers (yay! ), and I just think dishes with leftover Easter ham are even better than the main event itself. 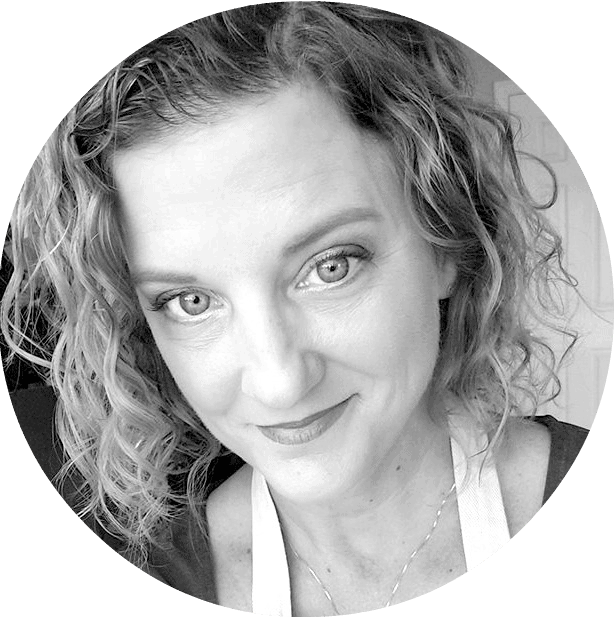 Like Gnocchi Mac ‘N Cheese with Ham and Peas, and Ham, Asparagus, and White Cheddar Breakfast Strata, and, this year, a healthy new hash. But there is even more to this dish! 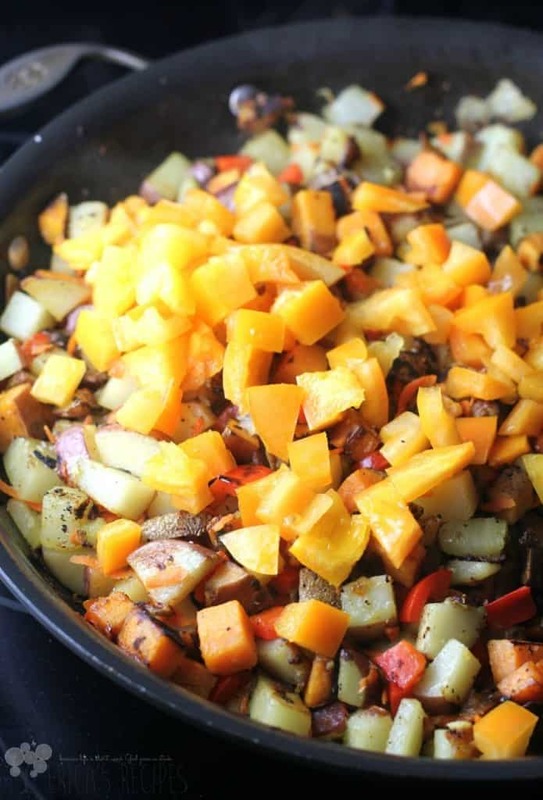 This healthy hash was my carb-load meal last week before the HITS Ocala Half Ironman. 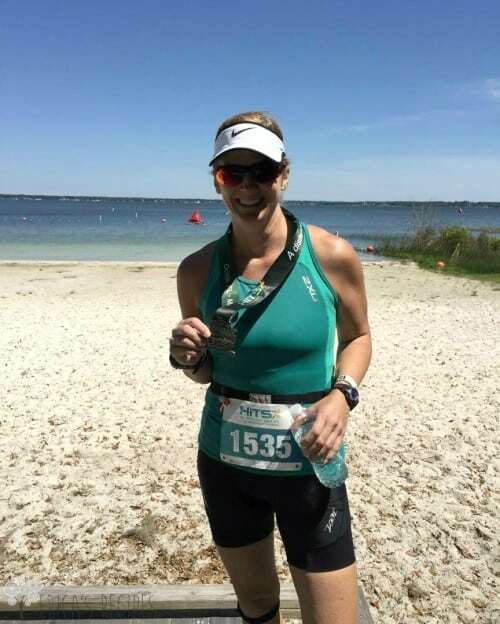 This triathlon was just Saturday …1.2 mile swim, 56 mile bike, and 13.1 mile half marathon run, and it was in beautiful central Florida horse country….which means hills. Yes, Florida has hills. And they are all in Ocala. …And it was cold. So so cold. This is my baby Tracy. Tracy Trek. Named by my daughter. 51 degrees F. Wet from the swim. Going 21 miles per hour on the downhills. It was frigid. I had planned for this and had purchased a new, super-cute, super-neon bike jacket last week. Yay preparation! -not. Cuz I had not given a single thought to my hands and feet. Yes, this is how the sun felt. On the other hand, the swim was fantastic. The water was a perfect 64F. Clear beautiful lake water. Sooo much better than salt water. 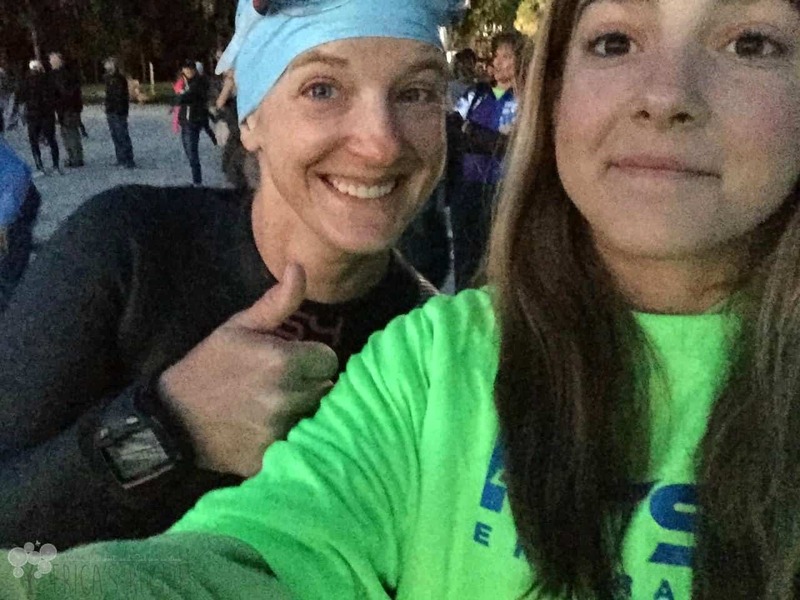 Another awesome part to this race was that my daughter volunteered and worked the event. She is currently broken (torn meniscus), but still came to support me [love her so much!!]. Here we are before the start. I could not wait to get in the water since it was warmer than the air. Then I had a surprisingly great run. Miles ~5-7 were terrible. The Quit Monster, as I call it, got really loud then, telling me to stop and walk. But I didn’t …cuz if I did stop and walk a bit, I would not have been able to run again. And there is no walking to the finish …So I kept going and all the sudden around mile 9, I got a second or third or fourth wind and breezed through to the end. Even placed third in my age group with a final time of 6 hours and 33 minutes. 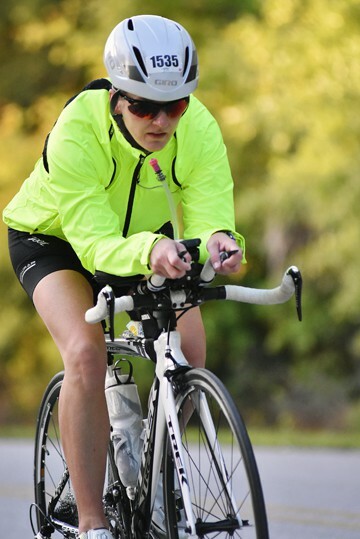 This was my tenth triathlon and second Half Ironman, and an experience I would not trade for anything. 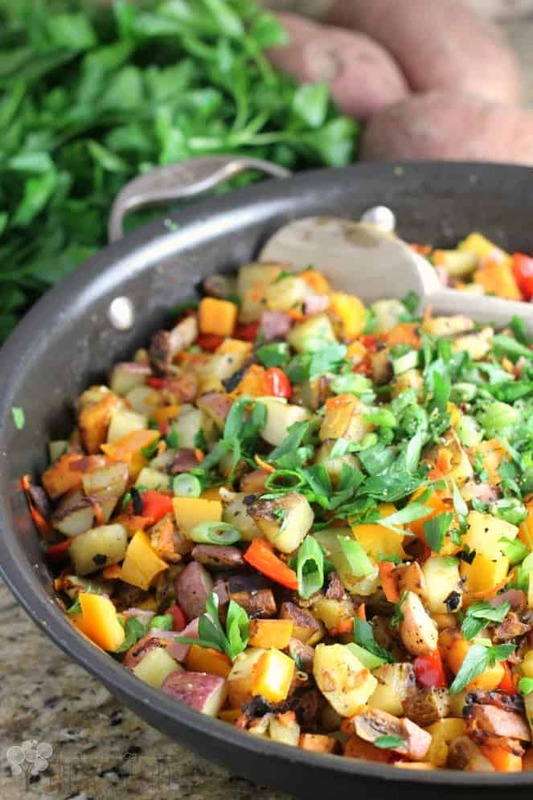 And this Three Potato Hash was the healthfulness that helped get me there. I normally go with pasta or rice to fill the glycogen tank before an ultra-endurance race, but for this triathlon, I decided to go with healthy taters. Three of them. Red skinned potatoes, sweet potato, russet potato …then, red bell pepper, yellow tomato, green onion, garlic, parsley, carrot — holy vitamins for bonus. And protein with the salty yummy ham. …And olive oil, so there’s healthy fat too. Top with an over-easy egg and just let that silky yolk sauce it all up. This is so so good. So this recipe checks a couple boxes with me …it uses leftover ham (which I usually have and definitely will next week after Easter) and it is beautifully healthy. Eggs and ham. Breakfast potatoes. These classic combos are classic for good reason – they are delicious – and they do not have to be gut bombed drenched in oil or butter. We can have our eggs and ham and taters too, and feel perfectly happy and healthy about it. 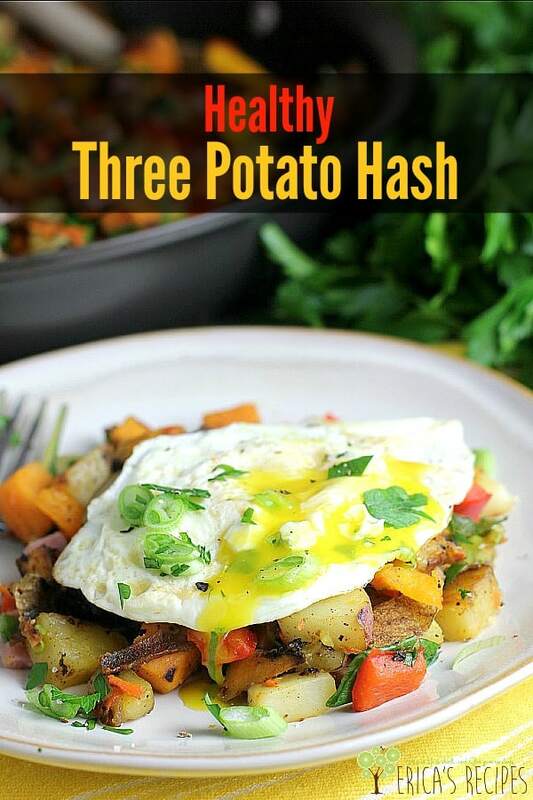 A fabulous and healthy Healthy Three Potato Hash to start your day. 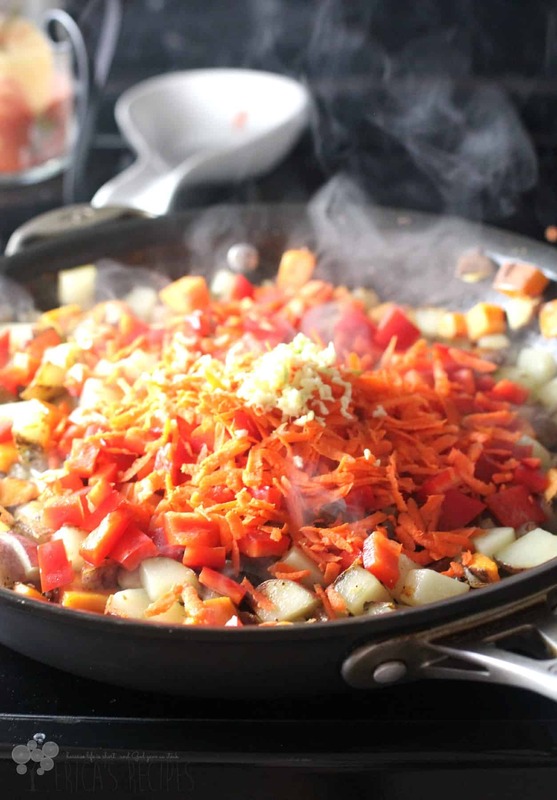 Heat the olive oil in your largest nonstick pan with a lid on high heat. Add the potatoes and toss to coat with the oil. Cover, cook 2 minutes, then lift the lid and stir to keep the potatoes from sticking to the pan. Repeat until the potatoes just start to soften (~10 minutes). If necessary, reduce the heat to prevent burning. Add the garlic, red bell pepper, carrot, ham, and a couple good pinches salt and pepper. Repeat the cover-cook-toss every 2 minutes for 6-8 minutes until the potatoes are cooked through. Remove from the heat and toss in the tomato, parsley, and green onion, reserving some onion for final garnish if desired. Heat a nonstick pan spray with cooking spray over medium heat, and cook the eggs over easy. Season with salt and pepper. 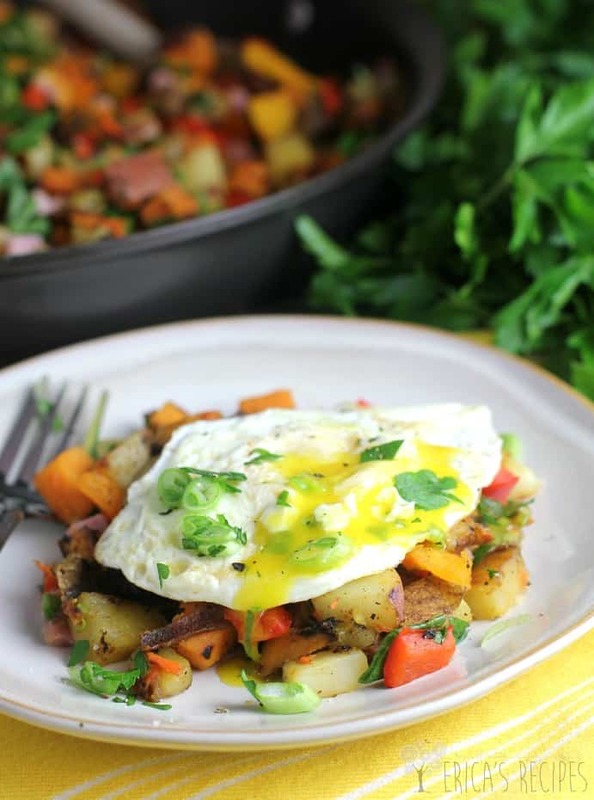 Serve the potato hash with an egg on top, garnished with fresh cracked pepper, green onion, and parsley. Yields 6 servings. Congratulations on finishing another triathlon, sounded really tough. This breakfast is my kind of breakfast, eggs, ham, potatoes, veggies, I love it. That sounds so good. I love this kind of stuff for breakfast. Congratulations on your race! This dish looks so yummy. The healthy hash looks delicious! Definitely saving this recipe. And congratulations on your Half Ironman! That potato has looks so good and fresh. I love the shredded carrots in it. What a wonderful dish this is. Great job. I’ve always wanted to do a triathlon! awesome job! and thanks for an idea to use my left over ham on! this dish looks awesome! I know I could never do what you did-not in a million years! And I gotta watch my carb intake cause of diabetes so I probably will not be trying this delicious sounding hash. At the moment 55 sounds warm to me–I live in NY and we are still occasionally getting snow! Great job on your race and on this delicious post! You are a total inspiration Erica! Congrats to you 🙂 We are supposed to be in the 50’s tomorrow and I am thinking it will feel like a heat wave to me. lol Great looking hash its so pretty and colorful! There is so much I love about this post. The recipe is gorgeous and sounds delicious. I am amazed by triathletes. I’ve done a few half marathons, and I can’t imagine adding the swimming and biking on top of that! Lastly, the giving of food to those who need it. Thanks for sharing! 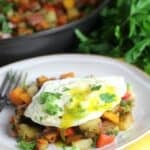 I love hash and love your recipe! Love this recipe! It looks awesome…. Way to go, Erica! Another tri accomplished! 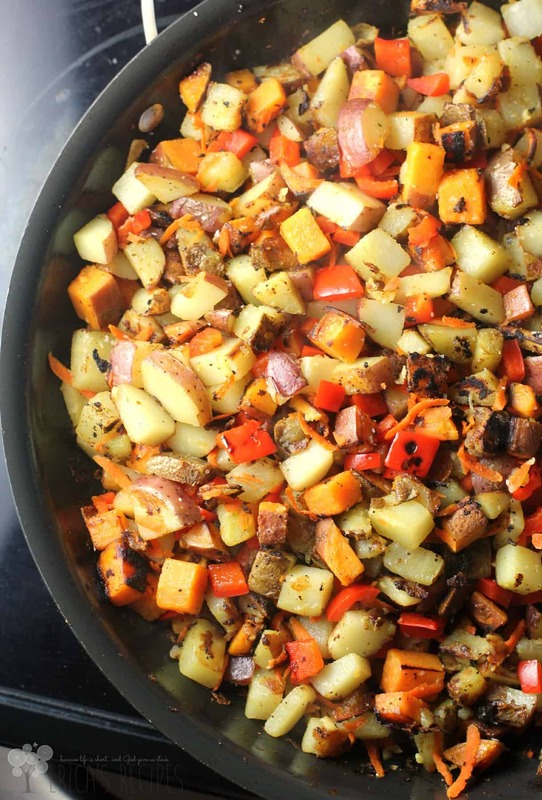 This hash has so many ingredients that are so tasty together, and I love that you left the skin on the ‘taters! It’s not hard to make good choices when the food looks this good! I do love all the pretty colors! That looks so fresh and appetizing. I love everything in the hash! 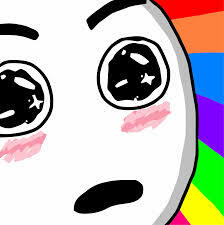 Girl that looks delicious AND it’s healthy. Winning. Congratulations on your 10th triathalon! This looks absolutely amazing! I love a good hash! This looks so darn good, I love eggs and homemade hash!! PS WTG on the Ironman! Wow, so colorful and delicious looking. Yum. Congrats on the triathlon! What an incredible experience! Sounds like your race was amazing you did great! And this recipe looks fantastic! Congratulations on the Half Ironman! Well done! 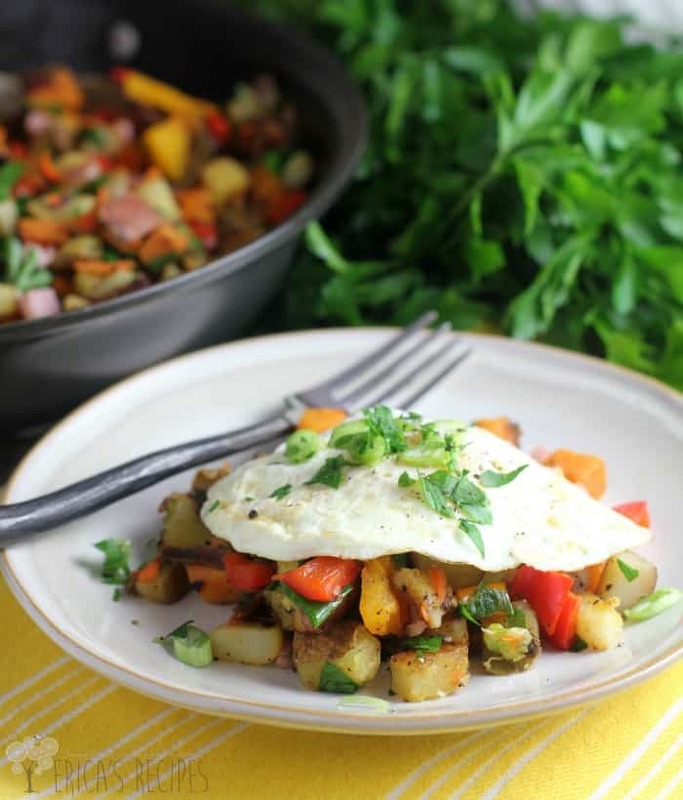 Love this delicious, healthy hash, Erica. Pinned, stumbled and will tweet 🙂 Thank you for sharing with us at the Hearth and Soul Hop. Oh my this looks amazingly delicious! I love dinners or breakfasts like this, filled with yummy veggies. Wonderful! And, congrats on another race. You amaze me with all the stuff you accomplish. 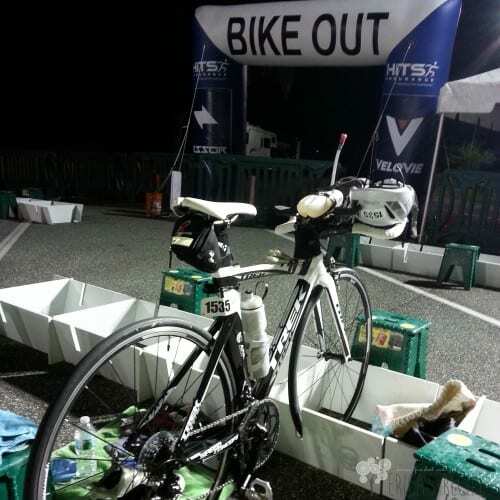 Ironman Miami 70.3 Race Recap …Pelotons and Pizza.